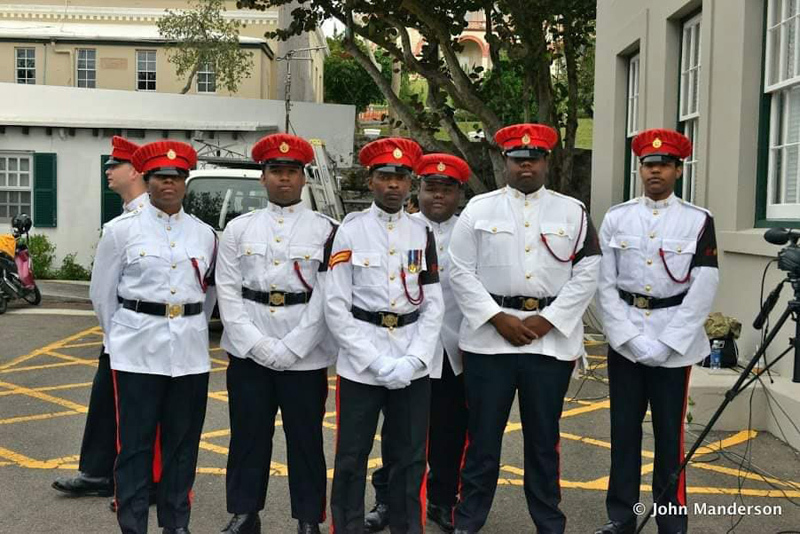 This was from the Royal Bermuda Regiment’s Commanding Officer Lieutenant Colonel David Curley, as he paid tribute to 40-year-old Corporal Richardo Gibbs Hill, who died following a motorcycle collision yesterday in Paget. Lt/Col Curley said, “I knew him well and he was always keen and enthusiastic. He liked doing his job – he was always punctual and understood what his role and tasks were. “Corporal Gibbs was also happy to interact and help the other soldiers in the Regimental Police unit as well. He was dedicated and always went above and beyond. Sergeant Major Luis Pereira completed the 1997 recruit camp and the Junior Non-Commissioned Officers’ Cadre with Corporal Gibbs and Sergeant Major Kenyon Woods and the three were the last of that year’s intake still in the Regiment. Sgt Maj. Pereira said: “I was always proud to have the three of us as the last members of that year’s JNCO still serving. 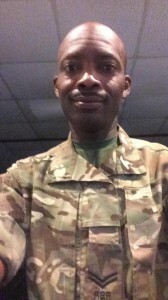 He added: “Richardo was one of these people who liked to put on his uniform and cared about what he did – he was proud to do his duty. He was quiet and very caring, but assertive – someone who got on with the job and always had an ear for everyone else. “Corporal Gibbs was born in Jamaica and moved to Bermuda as a child,” the RBR explained. “He served in the Junior Leaders for more than two years before he joined the RBR just after he reached the age of 18. “Corporal Gibbs worked at first as a storeman in the then Training Company, but joined the Regimental Police in 2002, where he remained apart for a brief service break in 2007. “He was awarded the Queen’s Golden Jubilee and Diamond Jubilee medals and took part in training camps in Bermuda, Jamaica and North Carolina. “Corporal Gibbs was among the soldiers embodied for major hurricanes, including Gert in 1999, Fabian in 2003 and Nicole in 2016. “He was also part of the RBR’s disaster relief mission to Grenada in 2005 in the wake of Hurricane Ivan.